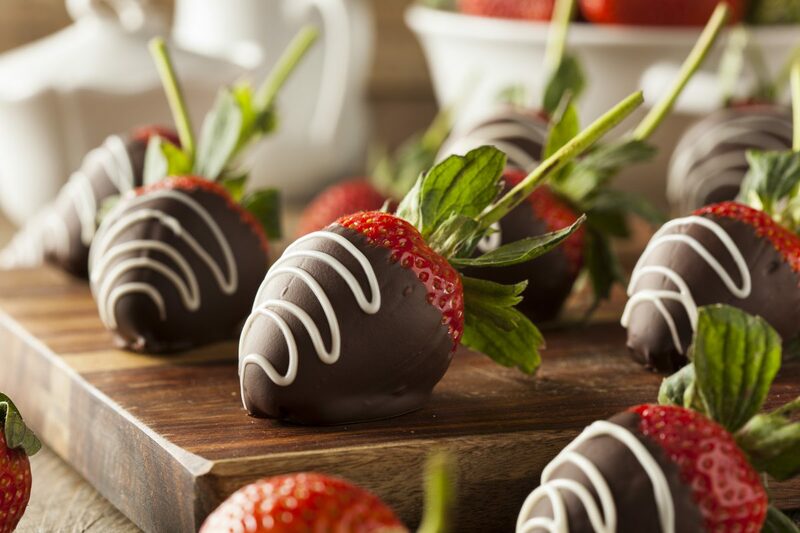 Chocolate covered strawberries are one of those treats that is easy to make, but OH so delicious. These chocolate covered strawberries make great no-hassle deserts for parties, and are the perfect finish to a romantic dinner date. The red of the strawberries with the darkness of the chocolate looks and presents well too! They’re also fun to experiment with by adding different accents or decorations. Try out many different flavour combinations and chocolates! • Baking sheet and parchment paper. Melt chocolate in microwave (or double boiler but the microwave just as easy). Make sure the chocolate doesn’t burn by stirring midway. Skewer the strawberries from top to bottom. 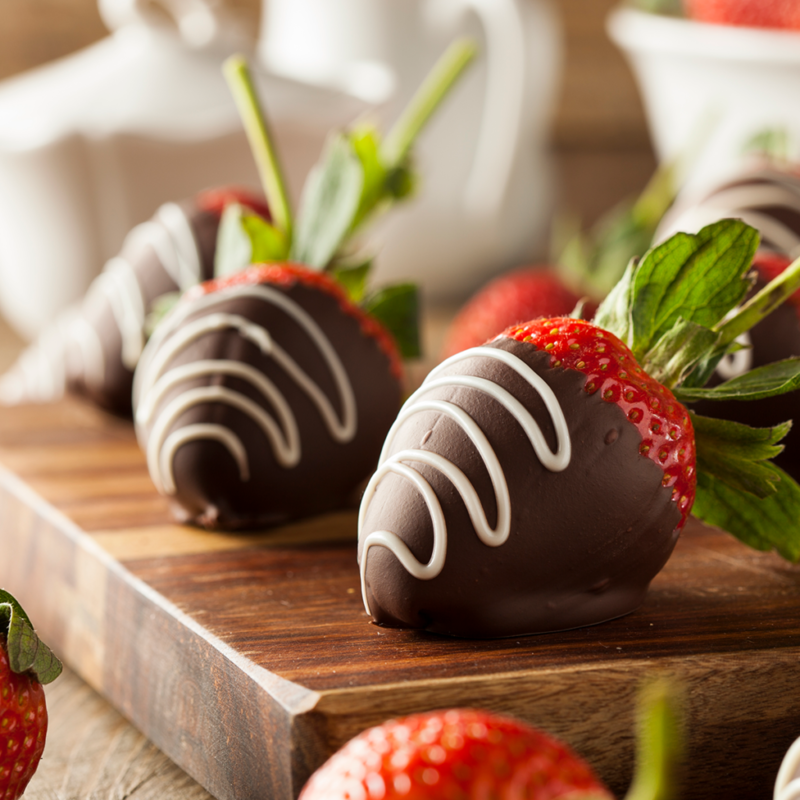 Roll each strawberry and cover it in the delicious hot, melted chocolate. Cover the baking sheet with parchment paper, and lay the strawberries on top to cool. Don’t worry about a flat spot on the chocolate. Trust us: chocolate covered strawberries disappear pretty fast! Eat when cool- or surprise someone you love! You can add additional decorations if you’d like to give your work some extra flare. Try drizzling on some white chocolate for a sweet presentation, or adding a touch of sea-salt. Customize this easy recipe to your heart’s content! Bon Appetit!